Today started in Skopje the second edition of IIF - CEE & SEE Regional Actuarial Insurance Conference: Inclusive Insurance, an event organized by the Insurance Supervision Agency of Macedonia and XPRIMM, aiming to involve all the relevant stakeholders to explore the inclusive insurance concept and identify the ways actuarial services providers can contribute to developing this new domain. - Inclusive insurance, contrary to the common believe, is not just for underdeveloped countries, but we can say that it represents the democratization of insurance. - According to an ALLIANZ study, the global potential of inclusive insurance is estimated to 3.8 billion people (low income customers in emerging markets). - The inclusive insurance contributes in building resilience and sustainable growth, helping, at the same time, the development of public objectives. This type of insurance influence the financial stability and the development of the financial sector. 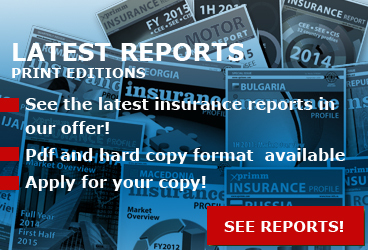 - The insurance markets in the Western Balkans countries (WBC) have recorded a moderated development over the last 10 years. The countries from this region are committed to implementing the EU legislation and the international standards. - Even though these countries have markets with low degree of penetration compared to the EU level (1.03% in Albania - lowest - 2.18% in Bosnia - highest), the last years trends show that the WBC can become the European tiger in terms of insurance. - Development of inclusive insurance in the region depends of all the stakeholders: Government, regulatory and supervisory authorities, consumers, insurance players and universities. 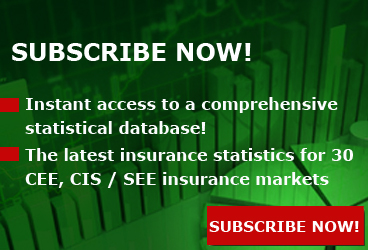 - In Eastern and Southern Europe, classical insurance products target the middle and high income population, being more or less copied from developed markets. - In this region, inclusive insurance can be a transitional short to midterm measure to achieve the same status as the advanced markets. - Inclusive insurance development should be accompanied by a appropriate regulatory frameworks, a sandbox regulatory approach or a 'test and learn' approach. - The inclusive insurance market develops through partnerships with aggregators having clients with specific needs. Still, insurers should have in mind that what is good for country 'a' may not be good for country 'b'. - Consumers should be protected with adequate and skilled staff from the regulator and insurers. - Bancassurance or mobile insurance, for example, need to have a proper regulatory framework determining the rights and obligations of the clients, the banks/mobile operators and the insurers. - Advanced draft or finalized regulatory frameworks are already in place in inclusive insurance markets in Africa, Asia and South America and the regulators in Eastern Europe are advised to learn from them to accelerate the building of the foundations of a sound and viable inclusive insurance market. - Tomorrow's clients of inclusive insurance are after tomorrow's clients of classical insurance. - Inclusive insurance, according to the IAIS 2015 definition, is referring to all insurance products aimed at the excluded or underserved markets, rather than just those aimed at the poor or a narrow conception of the low income market. - Inclusive insurance has the following characteristics: they are appropriate and affordable products, with accessible and convenient distribution channels. At the same time, it should be based on a sustainable business model, provided by responsible insurers and intermediaries (licensed and supervised). - One of the main approaches to the inclusive insurance regulations is referring to the proportionate regulatory treatment - which refers to the establishment an enabling business environment and ensuring that the vulnerable customers are protected. Some examples in this direction are referring to the risk carriers permitted, product development distribution, disclosure and documentation, premium collection, complaints handling, claims settlements, regulatory procedures. - The latest trends in inclusive insurance are referring to the involvement of the non- insurance parties and intermediaries, the implementation of index-based insurance, the mass distribution, the use of insurance as a policy tool. At the same time, a special attention should be put on digital technologies, insurtech, data collection etc. - The increase of the inclusive insurance comes from internal and external factors: The internal factors refer to the social responsibility of the shareholders, the diversification of risks, the need to increase the revenues and the opportunity to open new markets and innovative products. The external factors are related to the increased competition in the conventional insurance market reaching few social classes, decreasing margins in conventional insurance, regulatory requirements, political pressure and liberalization of the markets. - The use of the proportionality principle in supervision is referring to taking into consideration the size, the nature and the complexity of the risks. This is especially important for small policies, small insurers and innovations, in order to encourage partnerships outside the conventional insurance sphere. - The dedicated regulations for inclusive insurance are necessary if it is decided by authorities to treat them differently, separately from conventional insurance. - Inclusive insurance should be looked as a long term strategy for the insurers. Actually, the companies should consider carefully their long term (20-25 years) strategy, to see where the insurance industry is heading. - Insurance industry can be obsolete in 20-25 years due to the changes in landscape (technology, Artificial Intelligence etc). - We don't know what will be the effect of self driving cars for the MTPL system, of wearables for health insurance, of Artificial insurance for the agents etc. - The insurance industry regulatory landscape is changing and I am referring here to Solvency II, GDPR and IDD. - An UN study shows that in low - middle income countries there is a 90% protection gap, which can be translated in potential for the insurance industry. - The biggest challenge regarding inclusive insurance implementation is related to explaining the people the necessity and benefits of the products. - The losses from natural catastrophes in 2018 represent USD 160 billion, from which only 80 billion (50%) have been insured. - Insurance can fight against climate risks. We should take into consideration the fact that roughly 2.5 billion people derive their livelihoods from agriculture. - The key challenges are related to low premium and high transaction costs per client, lack of cost efficient payment methods, combined to low and irregular income (this is why volume is a key). Another challenge is related to insurance illiteracy and knowledge - the solution is KISS - keep it simple stupid. - By 2017, the were over 60 million insurance policies issued by mobile enabled microinsurance providers. - The speed of technological innovation challenges existing regulatory and supervisory frameworks, which need to accommodate and manage new players and power relationships. Some new business models challenge the definitions of insurance and intermediary services. Various consumer protection risks arise including those from the aggregator, sales, policy, awareness, payment and post-sale. Regulators should take ownership of the financial agenda, accelerate their processes, and work more with the industry. The regulatory environment must be flexible to accommodate future developments. Too much regulation, however, may hinder new market development. Regulation should start from the customer's perspective. They should analyze how the customer is signing up and filing claims. They should allow different business models and insure that clients have several options to sign up for insurance. - As for recommendations, I would underline the need for action: as weather-related natural disasters increase, so does the vulnerability of the poor. - There is a huge untapped market and the low income people are willing to pay if they can access the right products. - "At least 40% of all business will die in the next 10 years...if they don't figure out how to change their entire company to accommodate new technologies" - John Chambers, Executive Chairmen, Cisco System. - Around the world, over 61 million policies issued via mobile insurance, majority of people have never experienced insurance before. - Mobile insurance has an annual growth rate of 100%, compared to the mature insurance markets (2-4% per year) and emerging insurance markets (10-12 %). - Telecom companies pay for free insurance for customers in order to gain loyalty and increase revenue from customers' phone spending. - The main challenges of inclusive insurance are related to minimal trust, low awareness and mentality "What if nothing happens? ", the limited spare cash-flow and the complex and intangible products. - How to unlock the potential: Simplicity - Start simple with partial, single, mandatory cover; Accessibility - Boost access and understanding; Client value - Ensure great client experience through claims and servicing; Complementary - Offer complementary solutions along with other risk management services, as it rarely covers the full costs of a loss event. - The agricultural insurance portfolios focus on post harvest risks whereas the revenues and investments of farmers are highly impacted by crop losses, which translates in insurance gap and opportunities. At the same time, traditional Crop Insurance (Single or Multi Risks Insurance, Income Insurance, Farm Insurance, ...) is expensive to administrate and limited by Anti Selection and Moral Hazard effects, which leads us to the need of Emergence of Index-Based Crop Insurance solutions. - The Index-based insurance has some advantages compared to the traditional insurance: capacity to design specific products taking into account crop varieties, calendars, the lower administration costs and automatic claims payout. At the same time, this product reduces the moral hazard and anti-selection and it improves access to international reinsurance capacities. - The product presents a number of advantages for the farmers: it facilitates access to insurance and stabilises revenues of producers, it improves agricultural practices by covering good crop practices and favouring investment (purchase of quality inputs). - The main factors for reaching success are referring to the respect of regulatory framework and collaboration with regulator (possible PPP), often 'sand-box regulatory environment' (test and learn). At the same time, products should be tailored to needs and elaborated in close collaboration with all stakeholders including end beneficiaries. The accent should be put on simplicity in implementation and management (especially claim management) and on strong network of delivery channels. - We strongly believe that because insurance plays an important role in boosting economic growth, microinsurance is very important, so low income may have access and benefit from a type of insurance in the fields such as life, health, property or affiliation. - In support of achieving its objectives and in line with the strategy one of the initiatives undertaken by AFSA in 2017 and in continuance in 2018 was the inclusion in the project "inclusive insurance innovation lab" (A2ii). This project, supported and funded by the Access to Insurance Initiative, in cooperation with the GIZ Global Leadership Academy (GIZ) and local and international partners, aimed to promote multiparty cooperation, learning by international colleagues and the development of innovative solutions that will increase the admission of insurances to low-income and small businesses. - We are happy that we have been part of and leading in Albania this project which offers innovative methodology in terms of the inclusion of low-income and small business people in the insurance sector. - We believe that micro-insurance as financial means to protect low-income people from specific risks in exchange for regular premiums in propagation with the risks carried forward is very important, especially in countries such as Albania with low income and penetration rates. - The process of building the future of Microinsurance Market of Albania implies the following conclusions from our experience. First of all, most models had four main components: customer, intermediary, insurer and supervisor. Collaboration between them was mentioned as key by nearly all participants. Insurance authority a very important part. They need to protect the consumers. Some felt the insurance supervisor was the most important part of the market (demonstrated by height given to different pieces) whereas others felt what was needed was more of a partnership between supervisor and other actors in the market. - Currently, there are a number of 'barriers' that are stopping individuals that might otherwise be interested in purchasing insurance from buying it. In addition barriers are stopping insurance companies from offering products e.g. not enough statistics and data is available on what types of products low income consumers can buy and need. - Developing actuarial skills takes a long time - It is a long and slow road through the actuarial education system, with very limited local tuition opportunities, especially after graduation from university. At the same time, overseas options are expensive and there are few experienced actuaries to mentor graduates entering the job market. This is why addressing the limited actuarial skills in inclusive insurance markets is a long-term challenge. - The IAA has released in November 2018, an assessment tool with the purpose to proportionate the actuarial services. This tool answers the following questions: how to identify key risks in an inclusive insurance context, what actuarial services are needed and what level of actuarial skills are required to deliver those services. 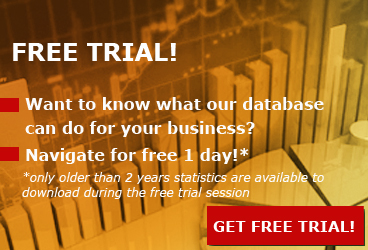 - At the same time, the tool provides a systematic process that helps you in structuring your thinking, in recording inputs for later adjustment and in providing record for future reference. - The tool is based on two key aspects to risk: product and provider's capacity to deliver the product in a sustainable way. Risks should be mitigated until provider is comfortable they are well enough understood and managed, which results in the fact that risk of a "blow up" is minimised. - It is very important to monitor the inclusive insurance market evolution, in order to see the growth and development of the insurance market (size, diversity, etc.) to assess impact of policy and regulatory interventions (are interventions to enhance financial inclusion showing success?) and to guide strategy and activities (to improve financial inclusion). - At the same time, a sound financial performance and governance assess whether business is viable, whether risks are effectively managed and evaluate effect of reinsurance. - The Key Performance Indicators (KPIs) are useful and powerful tool to evaluate the inclusive insurance sector's soundness, sustainability and ethics in providing insurance services to low-income households. - While the definition of KPIs for inclusive insurance are not different from traditional insurance, how they are analysed, interpreted and acted upon may differ to reflect the context and objectives of inclusive insurance. - CAT risks must be properly accounted for in the Solvency 2 solvency requirement. - Treatment of CAT risks under Solvency 2 considers a scenario-based calculations of capital charges, the modelling of nat CAT risk is based on sufficiently homogenous geographical divisions, the actual contractual limits for CAT compensation are taken into account. At the same time, risk-mitigation techniques have to fulfil qualitative criteria to be taken into account. - Insurers have to present their own view of the risk exposures and capital needs, but there is also necessary the regulatory insight into risk exposures. - If a significant share of insurers in a market exhibit a particular exposure across the board, there is needed an EIOPA / SCR review. 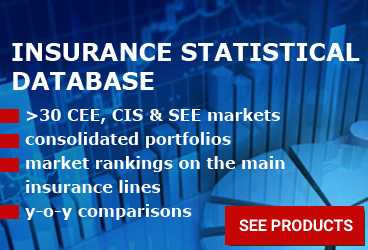 - PAID's reinsurance program is the largest single territory buyer of reinsurance in CEE, offering a 71% higher protection than the level required by SII. - At the time, there has been significant improvement in the percentage of portfolio with known construction type, year of construction and number of floors.